Central Asian states share the same theme, it was a former Mongol Empire territory and Silk Road passed through it. Just like other places in Central Asia, you can also find many historic places in Uzbekistan. There’s a ton of historical details in the country and Uzbeks are quite proud of this fact. This is a country that should appeal to many curious travellers and they should be able to find many things of an interest. As an example, in Kuva, a long-term excavation project has unearthed an ancient Buddhist temple, probably from 7th century. The museum in Kuva also tells us about local historical details and displays various discovered ancient artefacts. Another town that you can visit is Andijan, which is a dusty place full of merchants in a huge market. It is also the location of a car manufacturing plant, which is a rarity in Central Asia. Andijan is also a place where we can find talented artisans right in the middle of the market. Because the market is large, you may need to ask a local guide for help. 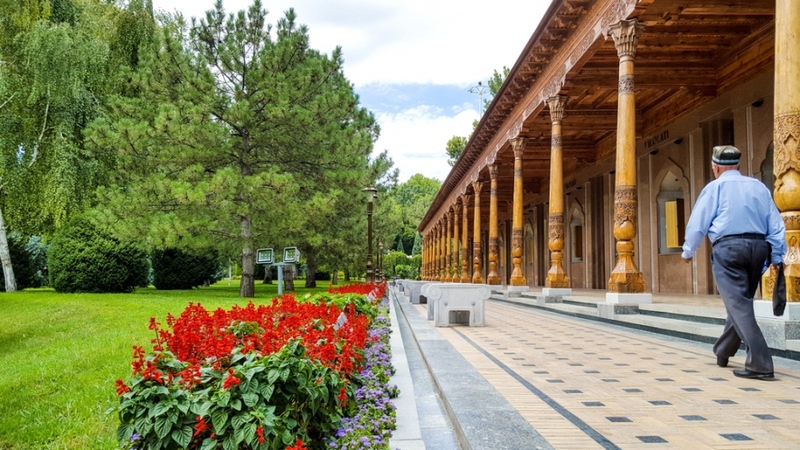 You may also visit Fergana, which is both a city and a valley in the same area. It is quite unique compared to typical Uzbek cities, with tsarists colonial-style buildings that were constructed in the 19th century. This should be a highly recommended stopover for many tourists who are travelling through Uzbekistan. You should be able to find multiple collection of fine art, such as in local museums and market. Rishtan is an interesting small village in Uzbekistan, which is known for its handmade and unique pottery items. Many art collectors would be interested to purchase some items in Rishtan. Tashkent is the capital of Uzbekistan and for some travellers, it is actually among the least exciting places in the country with Soviet-era buildings and modern glass/steel architecture. However, the overall vibe of the city is quite chic if you want to delve to it a bit deeper with good clubs, restaurants and hotels. The primary entryway to Uzbekistan is through the Tashkent International Airport. After you arrive at Tashkent, you will likely to be directed to Samarkand, which is true gem of Uzbekistan. It can be reached through car, train and daily flights. Despite its 2500 years of history, Samarkand is a clean and neat city, due to the continuous restoration projects. Before reaching Samarkand, it is a good idea to read more about the city. Wikipedia and Wikitravel should provide you with basic information about what should expect. After visiting all interesting markets, mausoleum and mosques in Samarkand, the next step should be Bukhara. You may expect that Bukhara is an identical city, but in fact, it’s a different city. The architectural marvel of the city is really exceptional and at another level. The locals in Bukhara may not be among the wealthiest in Central Asia, but they could amaze you with the friendly and amazing gestures towards foreigners and visitors.